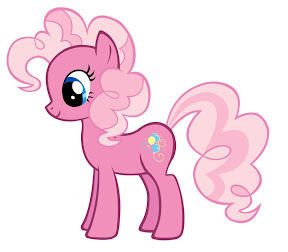 Anyway I thought I'd do a few posts dedicated to the ever so fascinating Pinkie Pie. 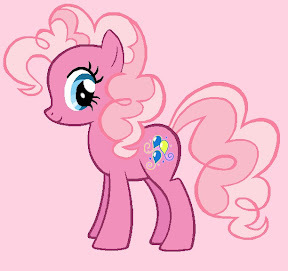 I love Pinkie for her randomness and hyperactive nature and you can't help but fall in love with her!! 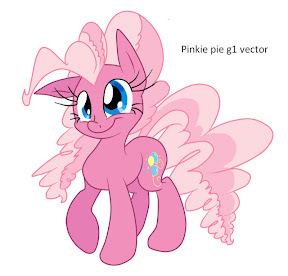 I even see a little but of myself in Pinkie. 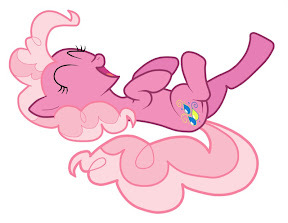 I love being a lady like Rarity, I love being random and crazy like Pinkie, I love feeling like one of a kind like Rainbow, but what I love most of all is being an egghead like Twilight Sparkle. Was never much of the rugged type like AppleJack but I do try to be honest even if it is blunt. I guess my shyness from years before was a lot like Fluttershy, but I do know I have a hard interacting with people like her. But is all for goodness right?? Hehehe. 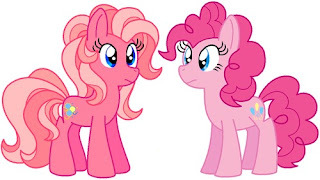 Now this post is all about the retro Pinkie. My mom says she wasn't much of a fan of her current colors but I love them oppose to the old colors. Maybe it's the bright vector colors oppose to the pastels and retro neon colors lol. What do you think?? 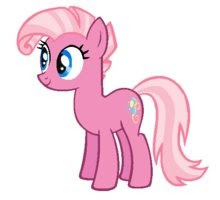 Do you like the current Pinkie Pie color scheme or the retro colors?? I can't seem to decide! !